Born and raised in California, Chisho now resides in Longmont, Colorado. She has always been an artist. From her earliest years, she displayed a talent for drawing, and progressed through childhood with charcoal and colored pencils as her favorite pass-time. Music was her other great interest, and had to play its role before art could have its way. She received her Bachelor of Music in Sacred Music and Voice, and eventually taught music and choral music in schools and churches. Many years were spent overseas, in Japan, Southeast Asia, and Europe, and raising a family. Musical theater, Maria in Westside Story, was a highlight of this period. Life as a professional artist began with calligraphy and abstract painting in the Zen tradition. This art is characterized by an aliveness and clarity of spontaneous brushwork using sumi ink on rice paper. Its spontaneous nature results in a stylized calligraphy that is very gestural, often bordering on the abstract. Going beyond the dictates of the conscious mind, a complete freedom of movement allows the power and rhythm of Nature to filter through and infuse the work with Life. Chisho departed from calligraphy in the majority of her brush paintings, going totally to the abstract in the intuitive spirit and energy of Zen. She was mentored by a Zen master from Japan, himself a master calligrapher. This artwork emerged at the culmination of her many years as a resident student in a Zen monastery. In 2009, she began the study of representational painting using acrylics and oils. Her subjects are varied: landscapes, portraits, figures. She began exhibiting these paintings in the fall of 2010; and at her first juried show, her painting, “Umbrellas,” was awarded Best of Show. In 2011, her paintings were juried into a number of shows and received top awards. 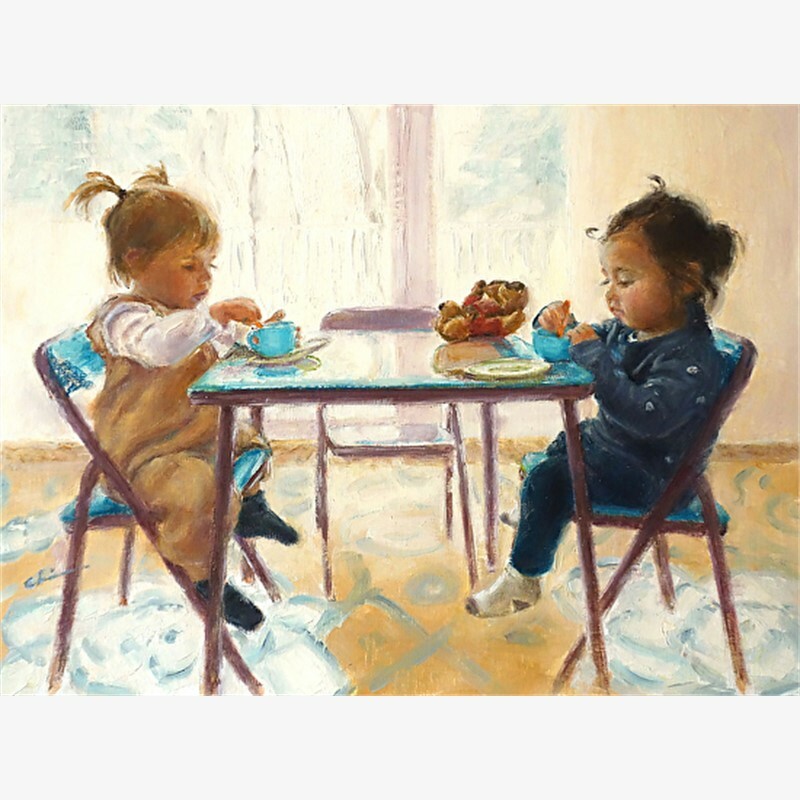 She continues to be an award-winning artist, and has been commissioned for a number of portraits. She believes that a spirit of the painting is created by the artist. “When all the elements are in harmony, that newly created spirit radiates to all who view it. This spirit is most easily facilitated when the mind ceases to dictate, and the painting process takes on a life of its own. Most artists know this state. I call it ‘no mind.’” Viewers often comment on a distinct feeling emanating from her paintings. for the Arts and the NY State Council on the Arts. Born and raised in California, Chisho now resides in Longmont, Colorado. She has always been an artist. From her earliest years, she displayed a talent for drawing, and progressed through childhood with charcoal and colored pencils as her favorite pass-time. Music was her other great interest, and had to play its role before art could have its way. She received her Bachelor of Music in Sacred Music and Voice, and eventually taught music and choral music in schools and churches. Many years were spent overseas, in Japan, Southeast Asia, and Europe, and raising a family. Musical theater, Maria in Westside Story, was a highlight of this period. 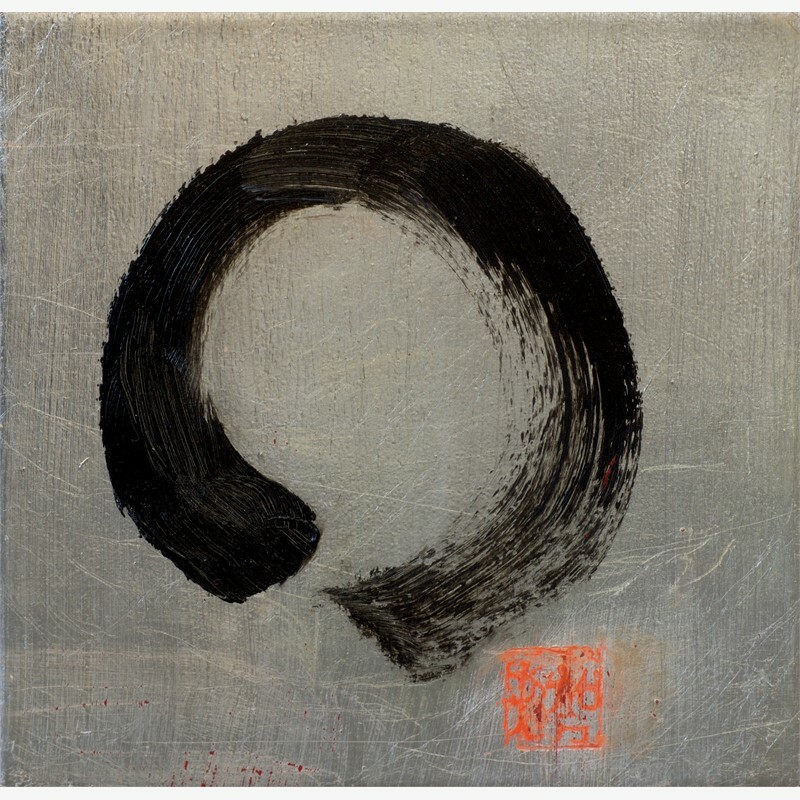 Life as a professional artist began with calligraphy and abstract painting in the Zen tradition. This art is characterized by an aliveness and clarity of spontaneous brushwork using sumi ink on rice paper. Its spontaneous nature results in a stylized calligraphy that is very gestural, often bordering on the abstract. Going beyond the dictates of the conscious mind, a complete freedom of movement allows the power and rhythm of Nature to filter through and infuse the work with Life. Chisho departed from calligraphy in the majority of her brush paintings, going totally to the abstract in the intuitive spirit and energy of Zen. She was mentored by a Zen master from Japan, himself a master calligrapher. This artwork emerged at the culmination of her many years as a resident student in a Zen monastery. In 2009, she began the study of representational painting using acrylics and oils. Her subjects are varied: landscapes, portraits, figures. She began exhibiting these paintings in the fall of 2010; and at her first juried show, her painting, “Umbrellas,” was awarded Best of Show. In 2011, her paintings were juried into a number of shows and received top awards. She continues to be an award-winning artist, and has been commissioned for a number of portraits. She believes that a spirit of the painting is created by the artist. “When all the elements are in harmony, that newly created spirit radiates to all who view it. This spirit is most easily facilitated when the mind ceases to dictate, and the painting process takes on a life of its own. Most artists know this state. I call it ‘no mind.’” Viewers often comment on a distinct feeling emanating from her paintings. 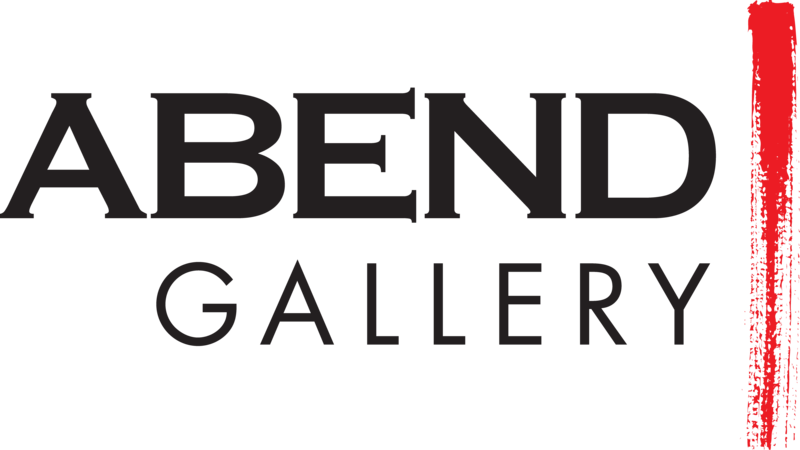 Affiliations: Longmont Artists’ Guild Oil Painters of America Awards: Best of Show: ‘Umbrellas, Japan,’ Frederick Fine Art Show 2010, CO First Place in Acrylics: ‘Backstage,’ St. Stephens Art Show 2011, Longmont CO First Place in Oils: ‘Orchid’ LAG/BAA Member Show 2011, Longmont CO Peoples Choice: ‘Orchid,’ LAG/BAA Member Show 2011, Longmont CO Peoples Choice: ‘I’m Ten,’ National ‘Lines into Shapes’ 2011, Estes Park CO Best of Show: ‘Pella Crossing-1,’ Frederick Fine Art Show 2011, CO First Place in Oils: ‘I’m Ten,’ Frederick Fine Art Show 2011, CO Third Place in Oils: ‘I’m Ten, St. Stephens Art Show 2012, Longmont CO Special Opportunity Stipends Program awarded through NY Foundation for the Arts and the NY State Council on the Arts.